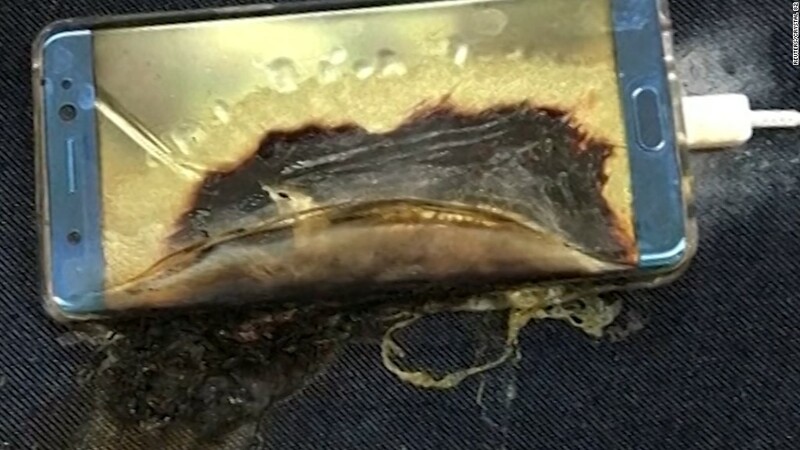 Almost two weeks after Samsung (SSNLF) stopped selling its new Galaxy Note 7 smartphone because it can catch fire while charging, the company still hasn't announced a replacement plan. That has left loyal American customers in limbo: Do they live with a loaner model without knowing when they'll get the phone they paid for? Do they bail on the Note 7 altogether? Or should they hold on to their phone -- even if it might be dangerous? "Every time I charge my phone, I wind up reaching over and touching it to see if it's getting warm," said Andy Shannon of Tinton Falls, New Jersey. "It does make me nervous." The thing is, Shannon likes his Note 7. His favorite feature is a stylus that lets him easily copy text or images when he's browsing. And he wasn't impressed by the company's initial offer for a loaner -- a Samsung J budget model that lacked many of the features of the Note 7. Other fans are unhappy with their options, too. I do miss the features and resolution of my Note 7. Can modern engineering create a Note 8 that doesn't double as a hand grenade? The holdouts are finding their Note 7s increasingly unwelcome. Major airlines and transit systems have banned it because of the safety risk. Not helping matters is the clumsy way Samsung has addressed the crisis, apparently caused by a battery problem affecting 0.1% of the 2.5 million phones sold so far. Samsung leapfrogged U.S. regulators by announcing its own voluntary recall program. A full government recall would outlaw Note 7 sales, but Samsung is still working with the Consumer Product Safety Commission to formalize a plan. Last week the agency said it was still trying to figure out whether a new Note 7 is an "acceptable remedy." The company has offered solutions elsewhere. In its home market of South Korea, Samsung took out a front-page newspaper ad this week announcing a software update that stops batteries from charging past 60%. 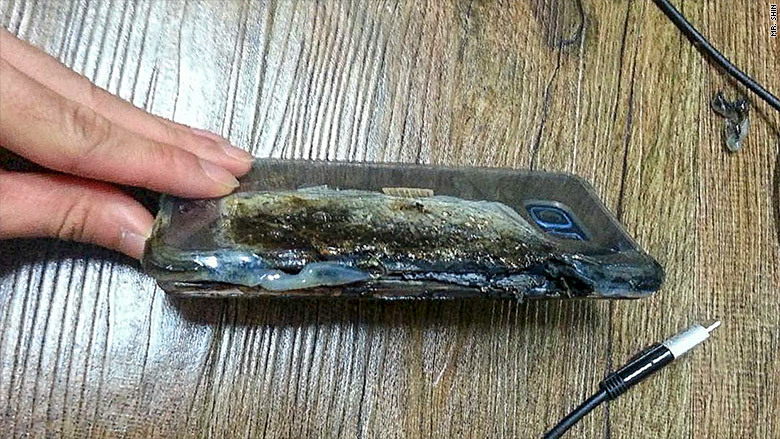 Samsung's Galaxy Note 7 smartphone can catch fire while charging. A "battery-problem-free" Note 7, it said, will be available Monday in South Korea. But that doesn't help customers like Shannon, who's worried that a fixed version in the U.S. could take weeks, if not months. He's wondering whether he should give up. His wireless carrier, T-Mobile, has offered to exchange Shannon's phone for another model of his choice. In the worst possible timing for Samsung, its biggest competitor is rolling out a much-anticipated new model on Friday. "Maybe I should move back to the iPhone," Shannon said. CNN's Jethro Mullen contributed to this report.